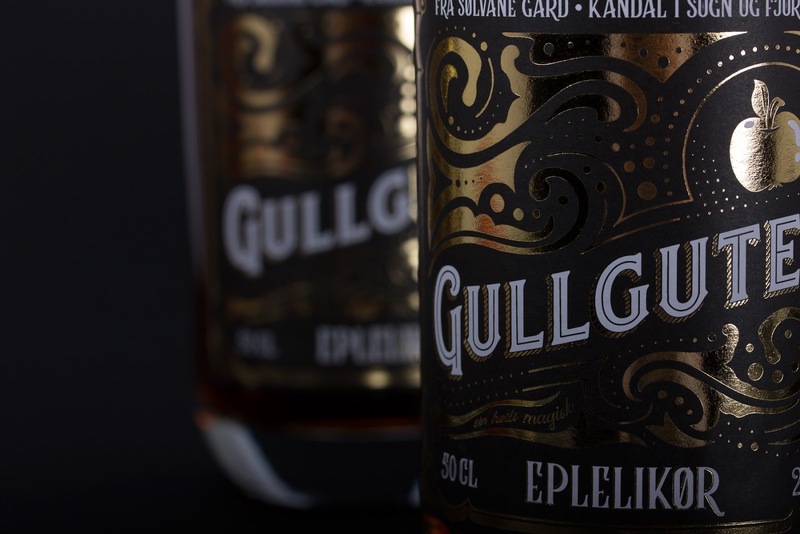 In the beautiful region Kandal in Sogn and Fjordane, Norway, there lies a farm called Sølvane Gard. 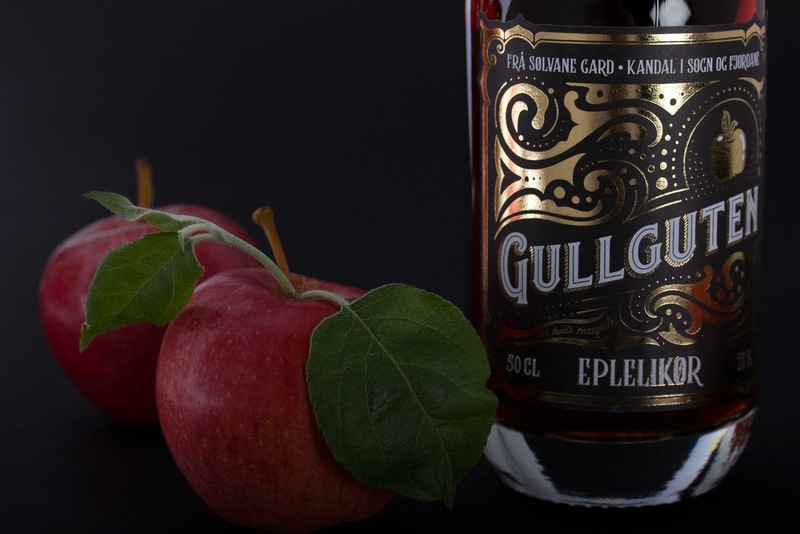 The valley is filled with apple trees that flourishes with fruit year after year. 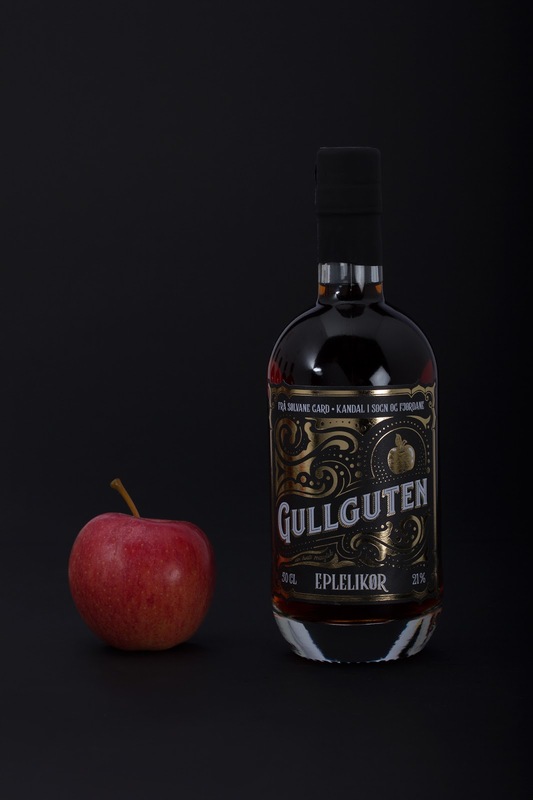 One day the farmers got the idea to make some nice and sweet apple liqueur to save the fruit from going to waste. 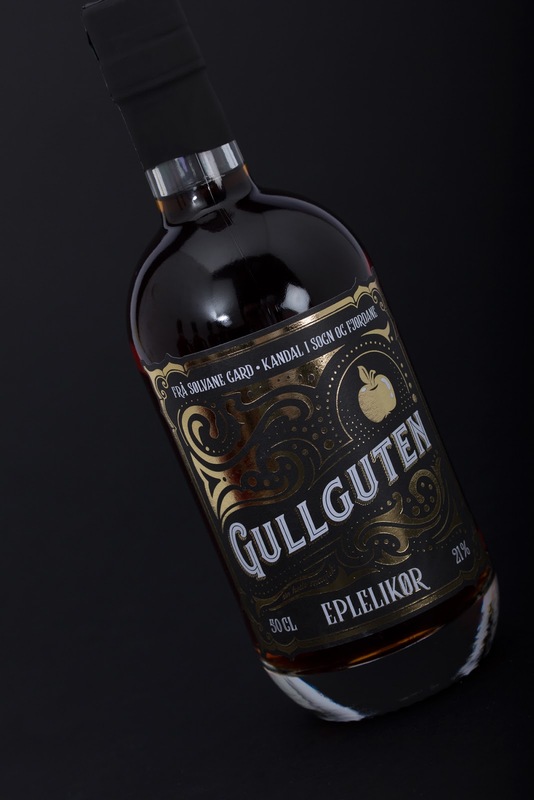 The name of the golden liqueur label, Gullguten, fittingly means Goldenboy. 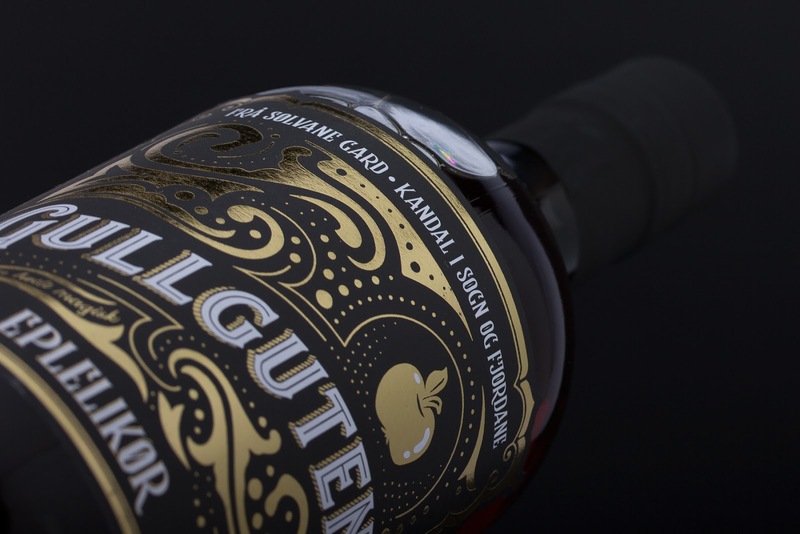 And the decor is inspired by traditional Norwegian wood carving patterns and vintage Art Nouveau details. 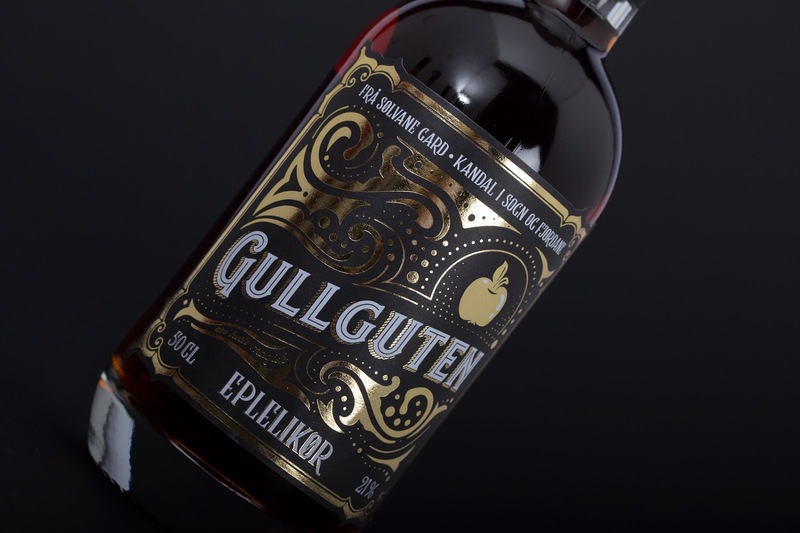 The gold foil on the label represents the warmth of the sweet apple liqueur, and hidden in the swirls it has the tagline 'ein helt magisk' which means 'a magical' placed before the product description, apple liqueur. 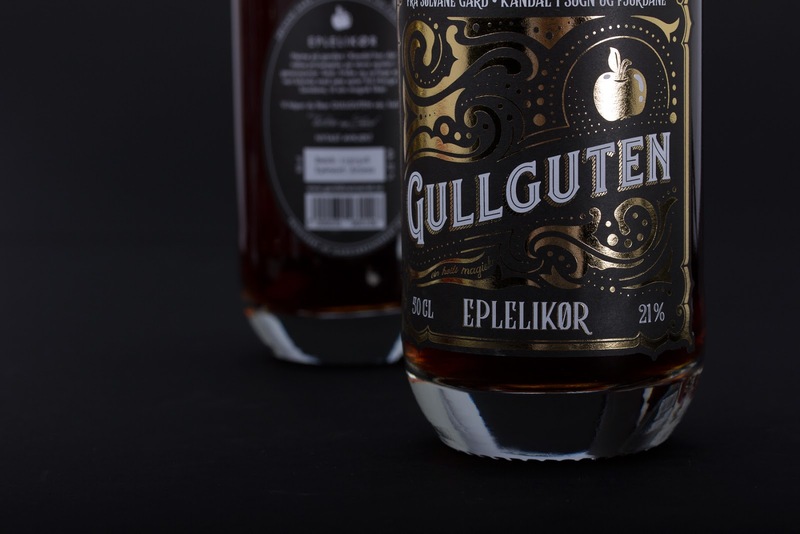 The golden apple illustration thrones at the top corner of the label and strengthens it the identity of the product. 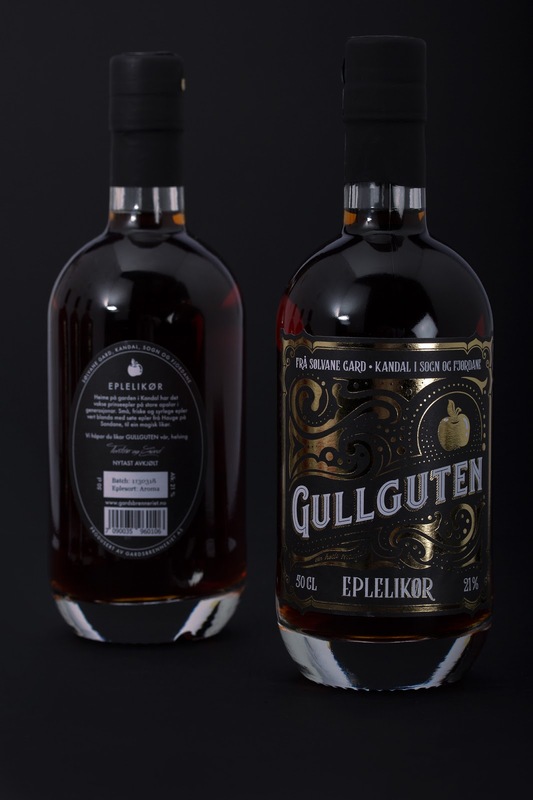 The blend of historical design mixture between traditional Norwegian wood carvings fusion with the organic shapes of Art Nouveau, creates a quirky yet premium expression. 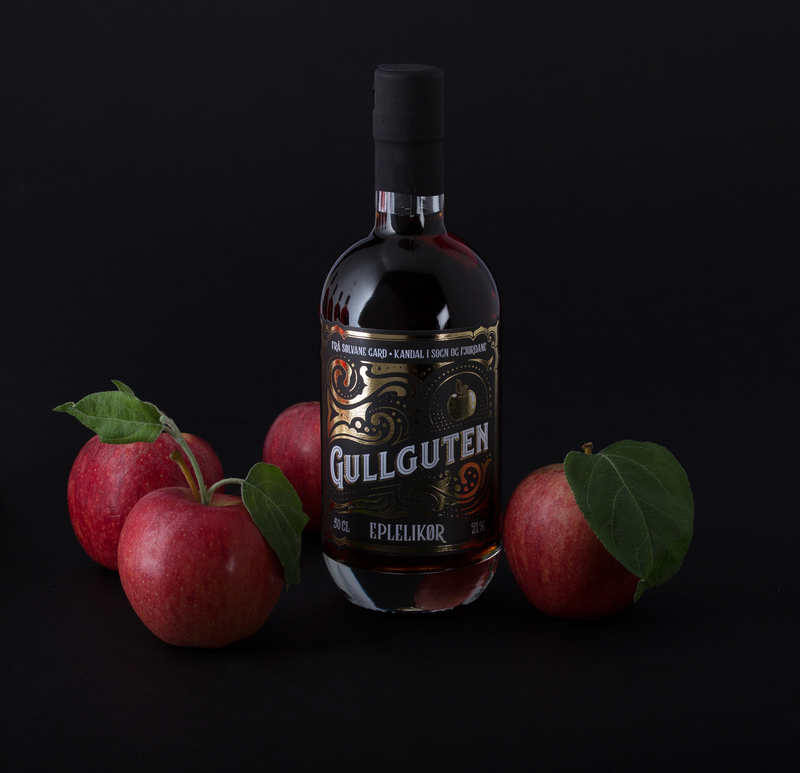 Combined together they convey a look and feel designed to invite both new and old apple liqueur lovers to try it out. 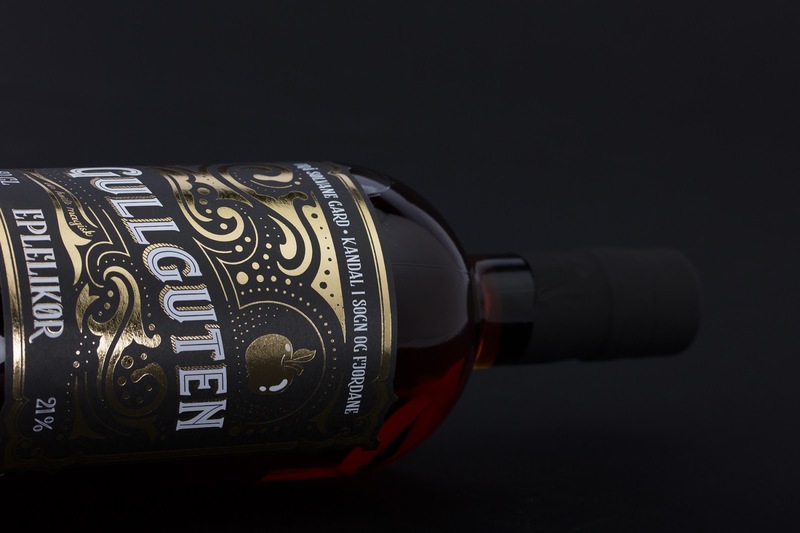 The combination of the matte black hood on the bottle top together with the shiny gold digitally printed foil creates an eye popping contrast.